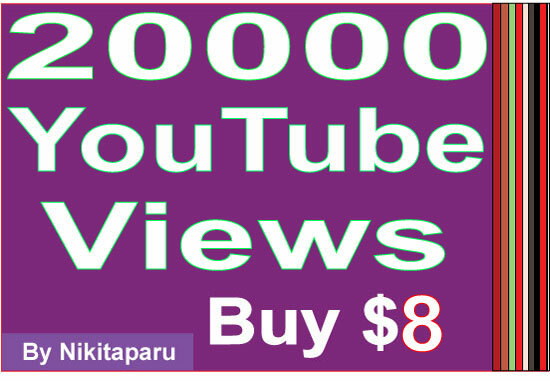 Please don't let someone take your money away from you by ordering their gig for 20.000+ YouTube views for $6. Many of them will not send you what you ordered. Consider the quality of service instead. In my service, I assure you that you will receive what you ordered. Very cheap rate. Order now!! Provide you 20,000+ youtube views is ranked 5 out of 5. Based on 254 user reviews.